The King of romance has done so many movies which narrate stories of love triangle between the main leads in the movie. Some showed him as a possessive lover while in some of them he had a gigantic heart to let go his love. Gist of the movie:- Shahrukh is obsessed with Juhi who is engaged to a Navy Officer. And they finally get married and Shahrukh insane in her love. Gist of the movie:- Shahrukh falls in love with beautiful vocal artist Suchitra who is already in love with Deepak Tijori. Later Shahrukh let them unite and develops passionate feelings for Juhi Chawla. 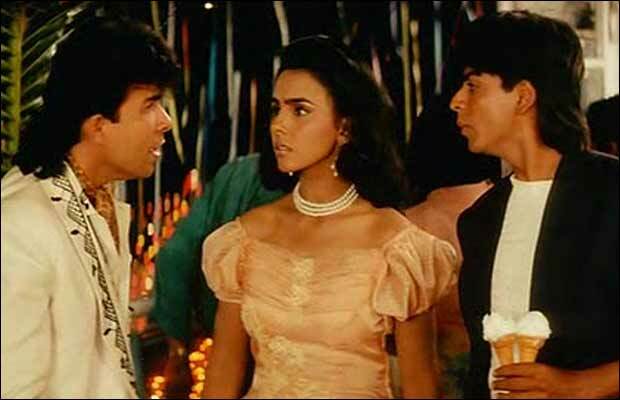 Gist of the movie:- Karishma is already in love with Shahrukh and is a part of his dance troupe. After meeting Madhuri he falls in love with her and later Karishma ends up with Akshay Kumar. 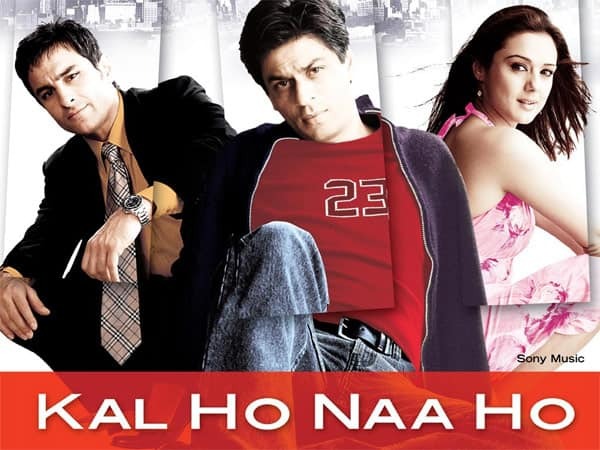 Gist of the movie:- Shahrukh falls in love with Manisha without knowing she is part of a terrorist gang and later he gets connected to Priety and adores Manisha at the same time. Gist of the movie:- Kajol realizes her love for Shahrukh when Shahrukh falls in love decides to marry Rani and starts avoiding Kajol. Later after the death of Rani while giving birth to a baby girl Shahrukh meets Kajol again through is daughter. After 8 long years they both fall in love and get married. Gist of the movie:- Rani is already in love with Shahrukh and has plans to get married to him but later he meets Kajol and falls for her and marries her. Gist of the movie:- Shahrukh and Aishwarya couldn’t be together because of their families and later Shahrukh transforms to an alcoholic and discovers comfort in arms of Madhuri Dixit. Gist of the movie:- Fighting between life , love and death Shahrukh decides to give up his love for Priety and pretends he is married to Sonali Bendre. Later he tries to fix Priety with her best friend Saif Ali Khan and make sure they get married. Gist of the movie:- Extramarital affair with Rani beside having a caring wife. Gist of the movie:- Shahrukh is a army officer and Anushka is a columnist who adores Shahrukh. But he is still deeply in love with Katrina.